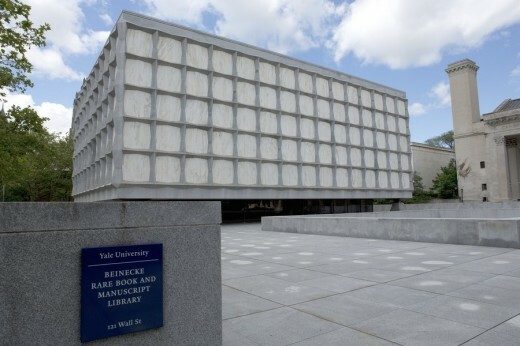 New Haven, Conn.—Following commencement ceremonies in May 2015, the Beinecke Rare Book & Manuscript Library will close its iconic building for 16 months to undergo a major renovation that will replace its climate-control systems and double its classroom space. The 50-year-old library building will reopen in September 2016, poised for another 50 years as a world-class center of scholarship and learning. 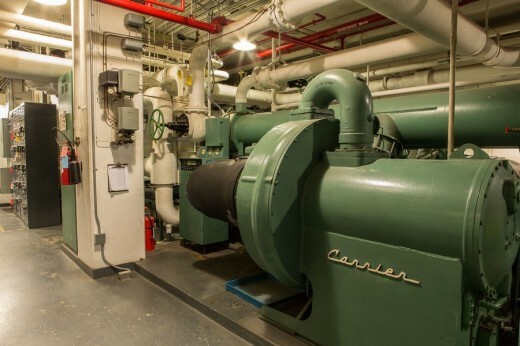 The bulk of the $70 million project focuses on replacing the library’s mechanical infrastructure — its plumbing, electrical, heating, and cooling systems — much of which is original to the building. 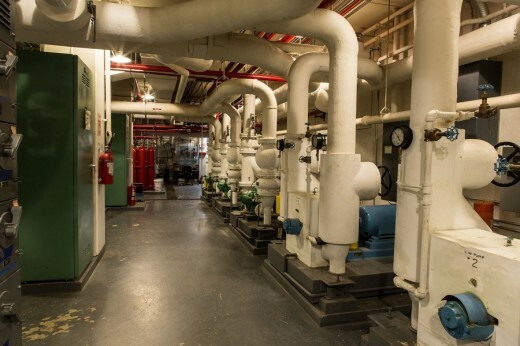 Machinery in the building’s sub-basement, including room-sized air handlers and chillers, will be dismantled, removed through a three-foot-wide shaft, and replaced with state-of-the-art equipment. Thousands of feet of pipes and ductwork will be replaced, and the building’s security and fire-suppression systems will be upgraded. 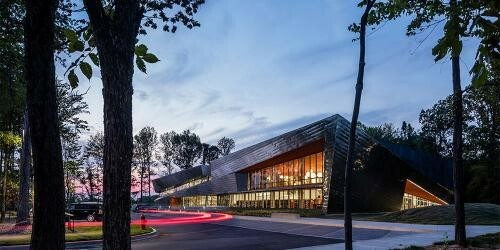 “These improvements will ensure the library maintains the security and climate conditions crucial to protecting and preserving its collections,” Schroeder says. Researchers, faculty, and students will have access to the library’s collections throughout the building’s closure via a temporary reading room in the Franke Periodical Reading Room in the Sterling Memorial Library, although staff will require least 48 hours notice to make collection material available. A temporary classroom in Sterling’s International Room will allow Yale faculty to continue teaching with the collection material while work is under way. By doubling the number of classrooms from two to four, the renovation will greatly expand opportunities for Yale students to visit the library and study its collections. The two new classrooms, each about 600 square feet, will accommodate seminars, small lectures, and workshops. This will enable the library to use its two existing conjoined classrooms as a large lecture hall for regularly hosting undergraduate lecture courses, opening up the space for a large new student audience. One of the new seminar rooms will be fitted as a laboratory space, accommodating teaching and research focusing on the book as artifact. All the classrooms will be equipped with the latest audio-visual equipment, which will allow classes to view materials housed at other institutions or examine in depth the physical structures of books and manuscripts. Four new consulting spaces off of the library’s reading room will give researchers the ability to privately discuss collection materials with each other and with library staff. Students and faculty could use the new rooms to meet about projects involving collection material. The library’s Technical Services Department — responsible for the cataloging, archival processing, digitization, and preservation of the library’s collections — will move to a new space in an existing building on Winchester Avenue in New Haven. This will consolidate operations that currently occur in four locations. Construction on this space will begin this summer. The department, which consists of about 50 staff members, will move in the spring of 2015 ahead of the May 2015 building closure. 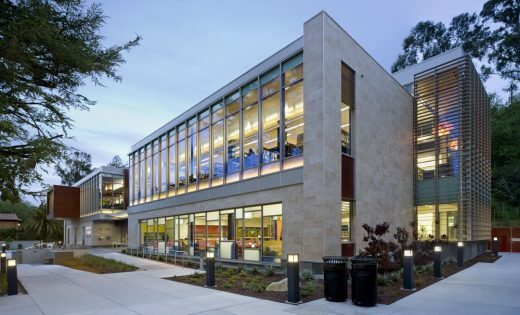 Other library staff will relocate to temporary office space in the Sterling Library and on Whitney Avenue for the duration of the building closure. The library’s architectural features — its marble panels, granite trusses, and bronze fixtures — will be cleaned and refurbished. 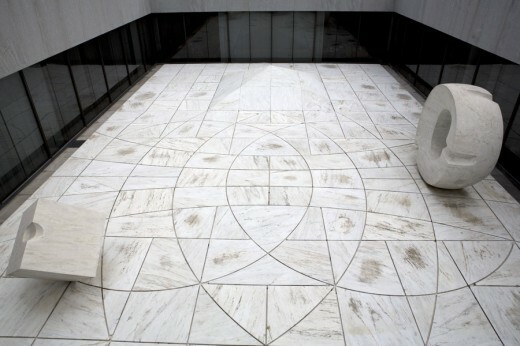 The Noguchi Sculpture Garden will be restored and waterproofed. 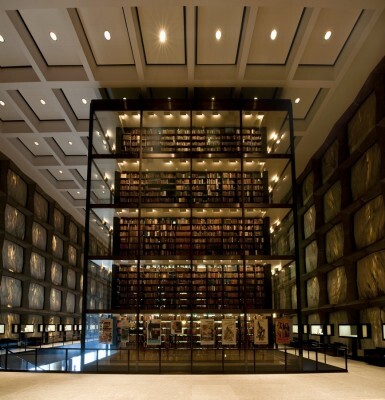 The library staff is working closely with HBRA Architects and Yale’s Facilities Department to fully preserve architect Gordon Bunshaft’s vision. For example, all new furnishings will be carefully selected to ensure that they fit the building’s look and character. The library staff has already begun the mammoth task of preparing the building for closure. About five miles worth of collection material, the equivalent of about 255,000 books, will be relocated — either transferred to the Yale University Library Shelving Facility in Hamden or moved to safe areas in the library’s basement stacks. The library’s six-story glass stack tower will be emptied of its 180,000 volumes next spring. Library staff has completed 5 of 18 scheduled bulk transfers of material to the shelving facility. The last of those transfers will happen in December. Temporary air-handling units will be installed over the winter outside the library on Wall Street to maintain the proper climate throughout the Beinecke during construction. The library is suspending acquisitions for one year beginning in July to provide staff time to prepare for the building closure. Relocating so much collection material requires temporarily closing several of the library’s most popular archival collections, including the papers of Langston Hughes, Eugene O’Neill, Gertrude Stein, Thornton Wilder, and numerous other literary luminaries. Researchers planning to visit the Beinecke between now and December should consult the library’s closed collections schedule to confirm the availability of desired materials.